City Living in Atlanta Perimeter area w/ All Amenities.Spacious second floor condo for any size family. Tons of light & Entertainment floor plan. Kitchen has lots of Counter space & Refrigerator stays too. 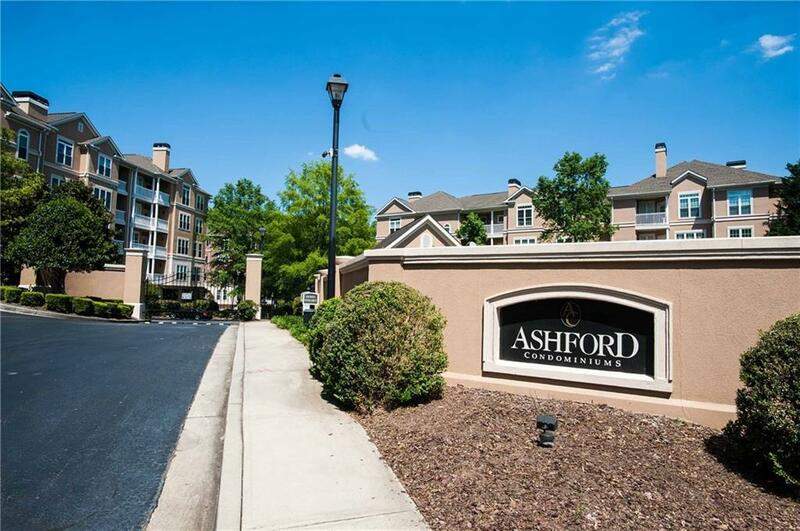 Open up French Doors & enjoy the over-sized Balcony view of community.Master suite is separate from other bedrooms w/large bathroom w/ separate shower/garden tub.Two bedrooms w/ shared hall bath.Laundry Room that includes Washer/ Dryer. Elevator, hardwood floors,carpet bedrooms w/walk-in closets, & a covered one deeded parking spot w/ plenty of visitor parking space. Directions: 285 To Ashford Dunwoody Exit Toward Dunwoody. Take Right On Mount Vernon And Right On Ashford Center Pkwy, Then Left Onto Ashford Center N And Immediate Right On Ashford Cir. 200 Building Is On Left And Drive Around To End Of Circle And You Will See Front Door To Building.